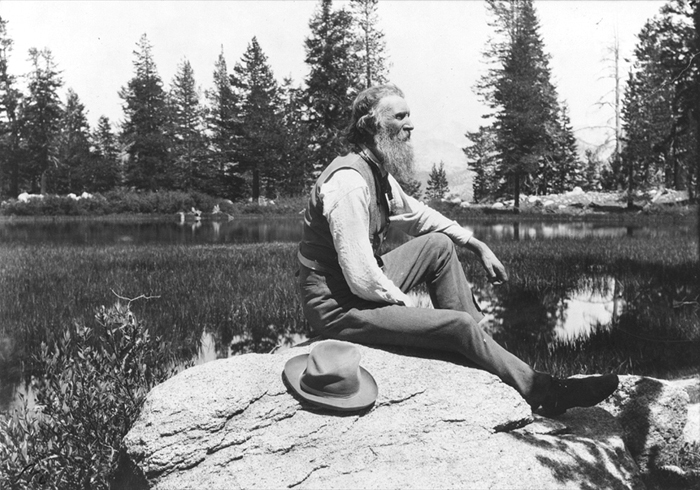 CREDIT: John Muir, full-length portrait, facing right, seated on rock with lake and trees in background, ca. 1912. Prints and Photographs Division, Library of Congress. Reproduction Number LC-USZ62-52000 DLC.